chromium oxide makes it yellow, teal or green. 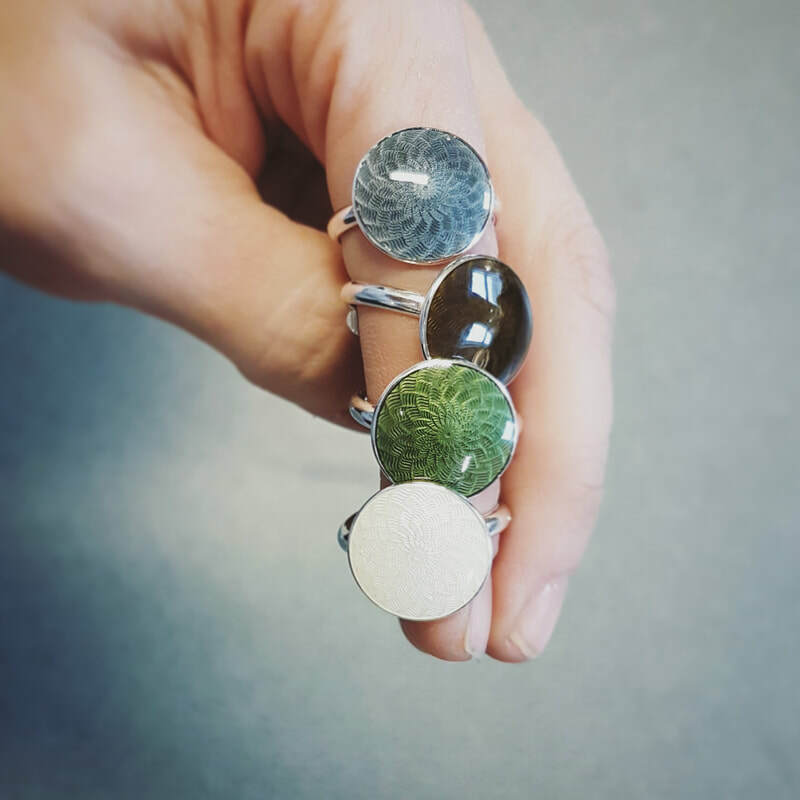 The metal oxides have varying degrees of hardness. This means that some take longer to melt than others. Thus, some colours have to be fused longer than others. 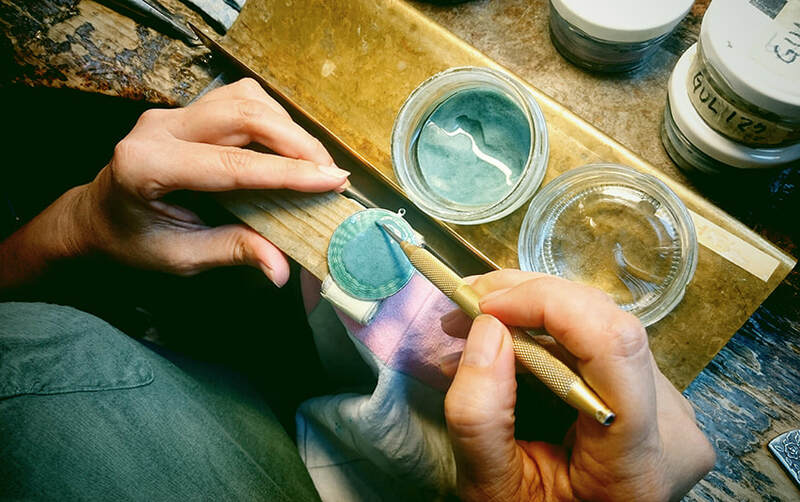 Here at Opro we work mainly with translucent enamel for jewellery, but for some products we also use opaque enamel. The main difference is that opaque enamel is not transparent, whilst translucent enamel (as the word implies) allows the silver to shine through. Because of this, we always treat the metal surface of our jewellery. 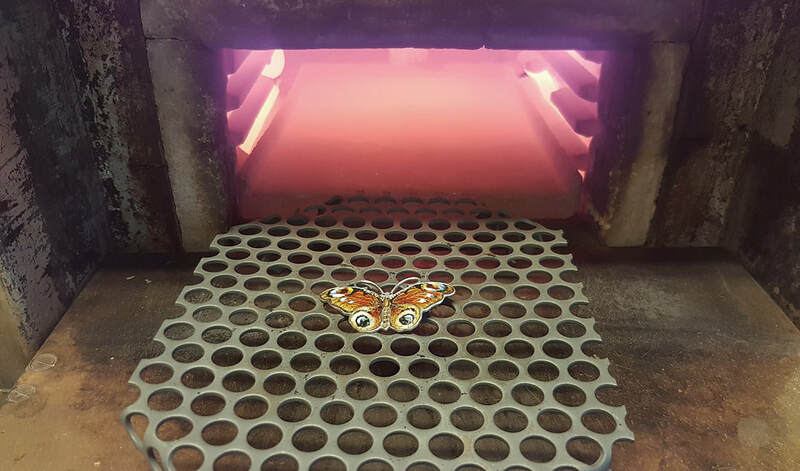 The most common form for enamelling is called champlevé, where the enamel is placed in troughs with a frame around. If you want to learn more about enamel press HERE. Emaljering av et Jupiter- anheng. En sommerfugl er klar for brenning. 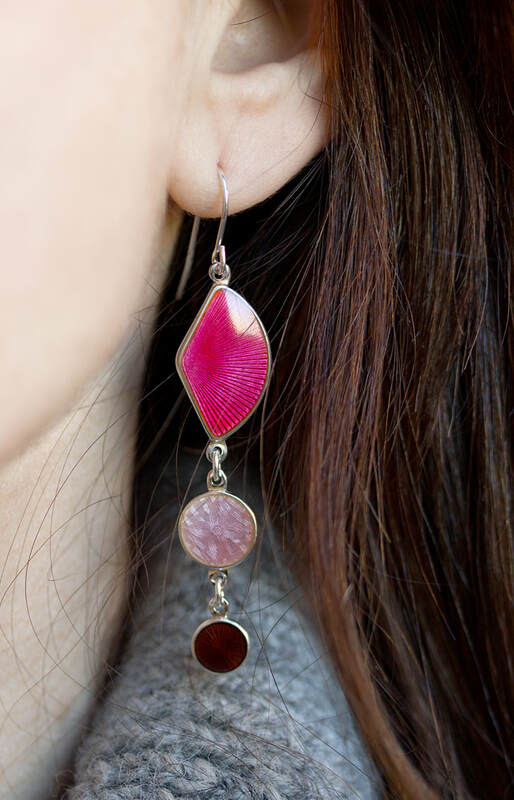 Enamel is fused at 850 degrees C. Before that can happen, it must be dried. In a dry state, the enamel is a powder, and we must be very careful if we move the board. If there is a sudden movement or unintentional jolting, the enamel will be moved. In other words, it spills over to areas where it should not be. If we discover this before burning, it can be rinsed off and applied a second time. If we discover it after fusing, the jewellery or product must be cut out. A badge or jewellery is rarely enamelled and fused only once. We have made badges where enamel had to be applied 4 times, followed by as many rounds in the oven. 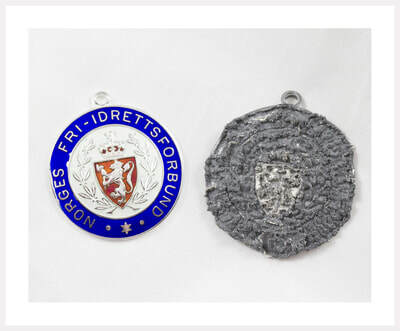 In addition, the badges were ground using a carborundum abrasive and water, washed and polished. and fused one final time. 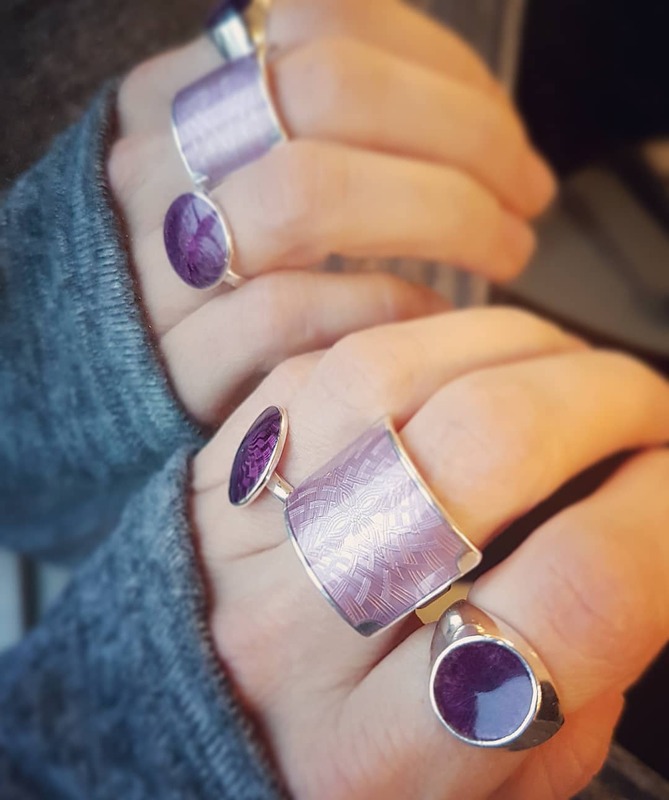 the colour will be incorrect and jewellery may shrink. If used too long, the silver can start to melt. ​Below is a collection of photos showing models that have been incorrectly fused. This is what happens when you forget and go to lunch. 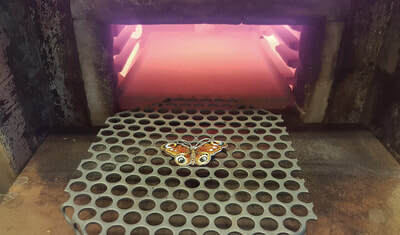 A butterfly got to much heat. 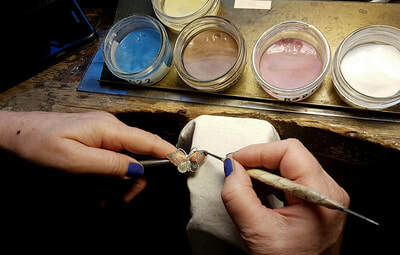 A piece of enamel jewellery is the result of professional craftsmanship. This is obvious from its appearance and its durability. 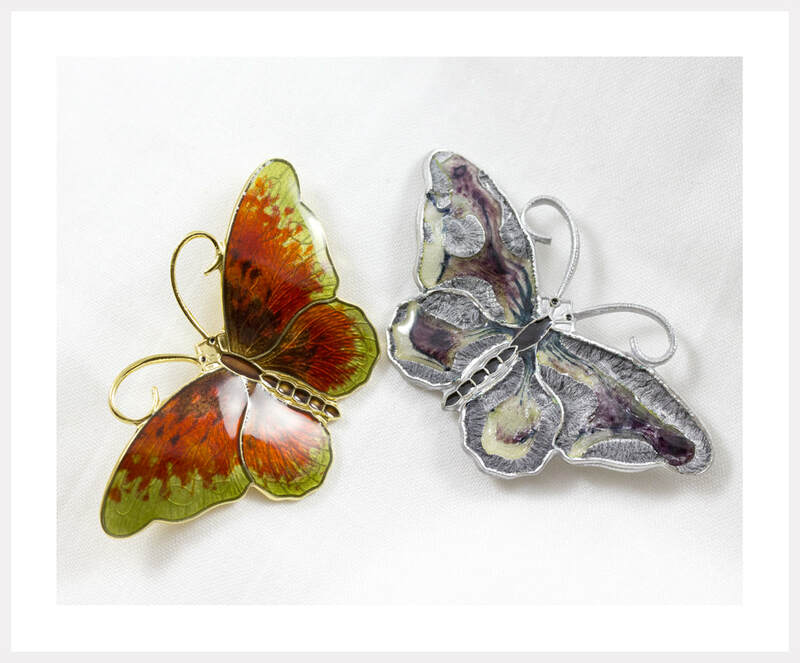 Glass enamel is colour proof and will never “fade” or change its tone. Enamel is glass and can be broken. If you drop it one the bathroom floor, ​the enamel might well shatter. Jewellery should therefore be handled with care. As should everything one loves.